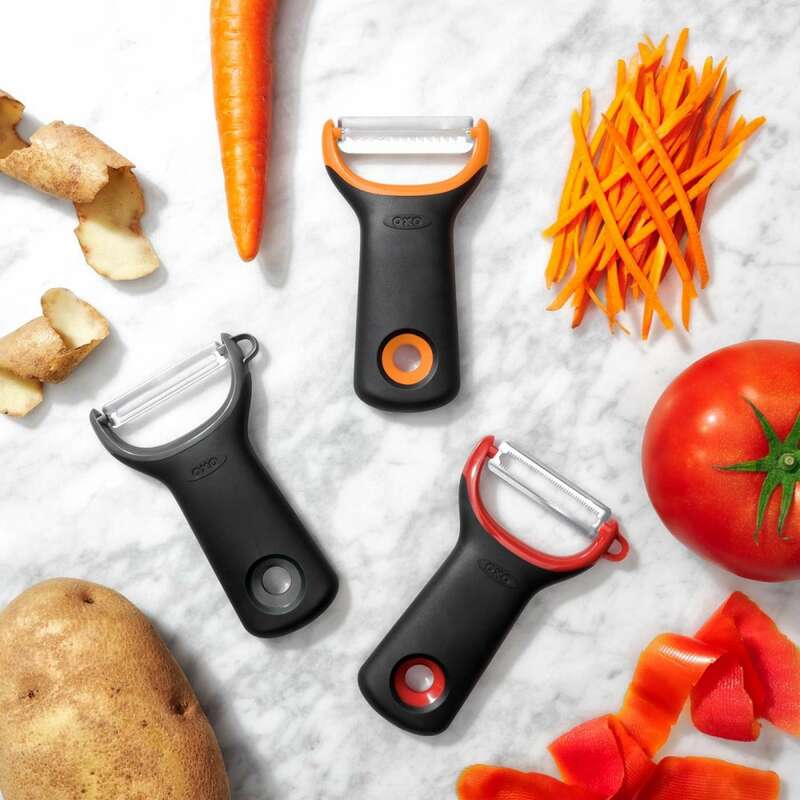 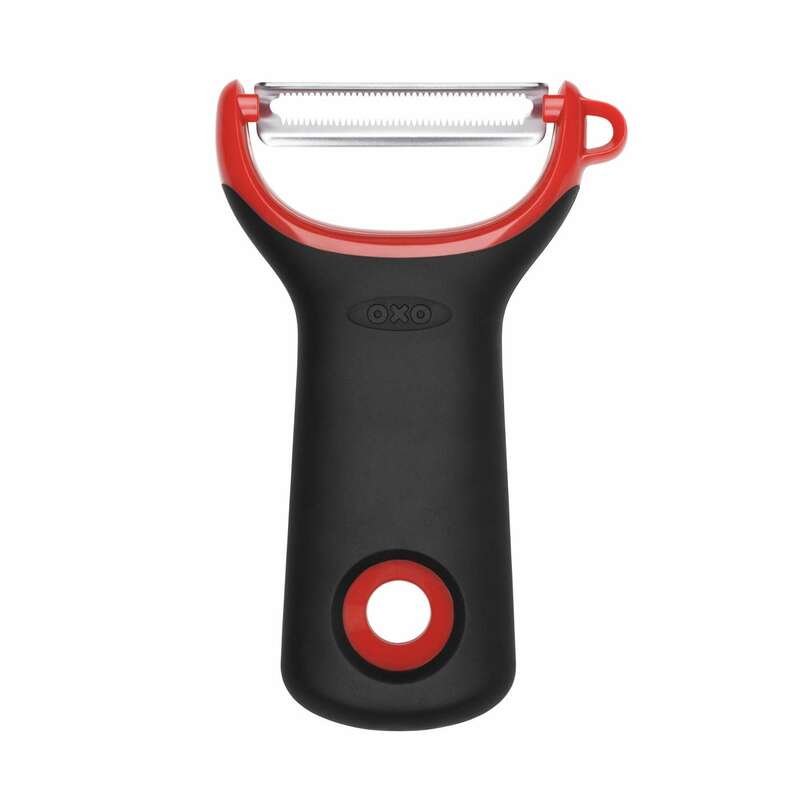 Whether you’re peeling a mountain of potatoes, julienning carrots for slaw, or prepping peaches for your favourite pie, the OXO Good Grips 3-Piece Assorted Prep Peeler Set is up to the task. 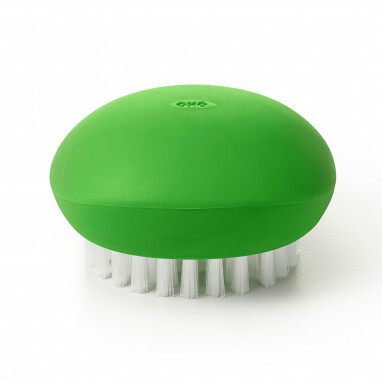 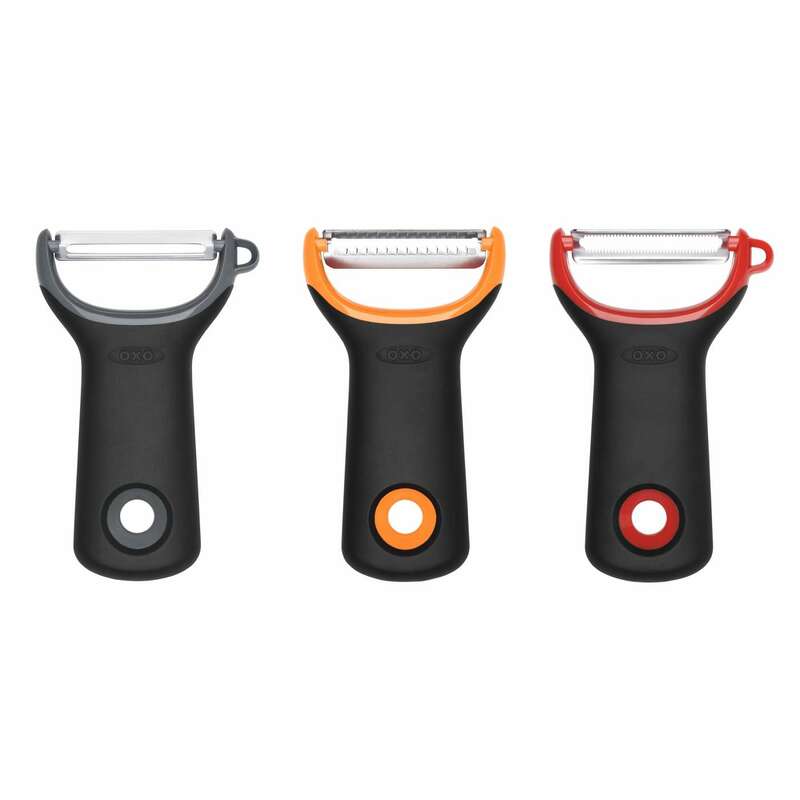 We took the best features from our original, iconic peelers and incorporated them into the comfortable, y-peeler design. 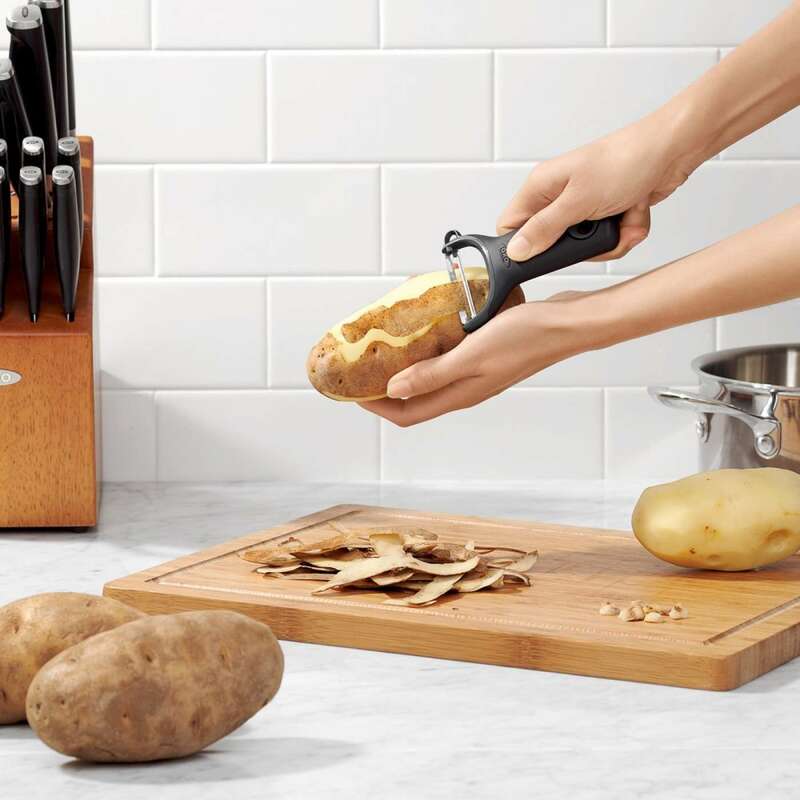 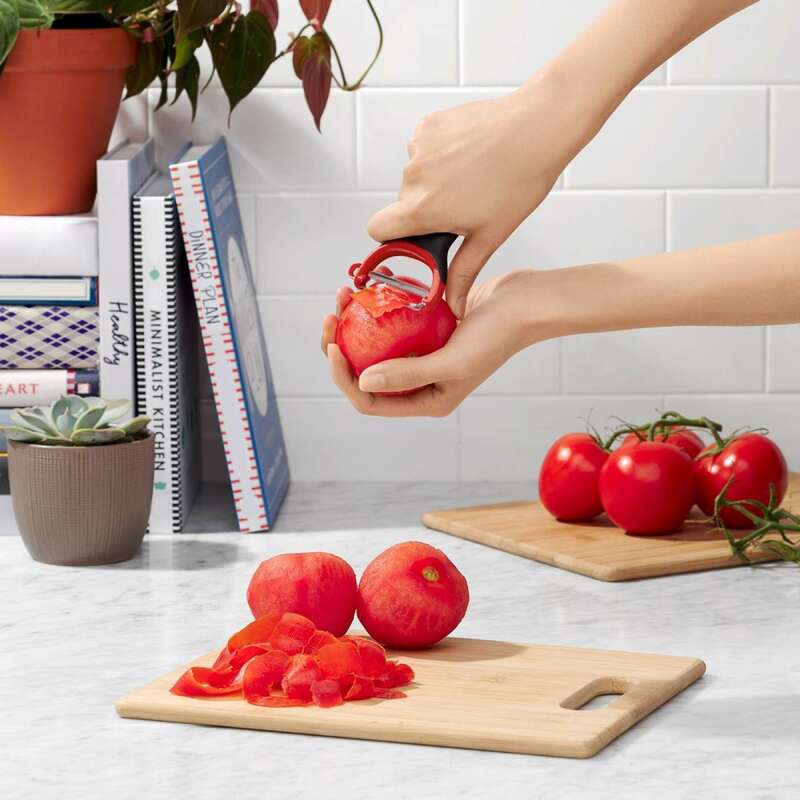 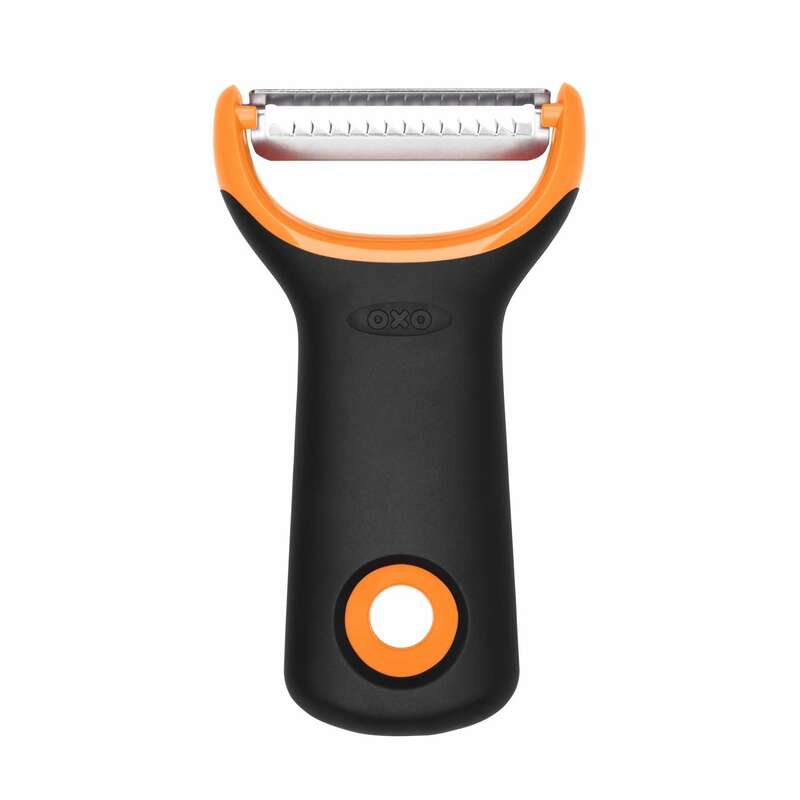 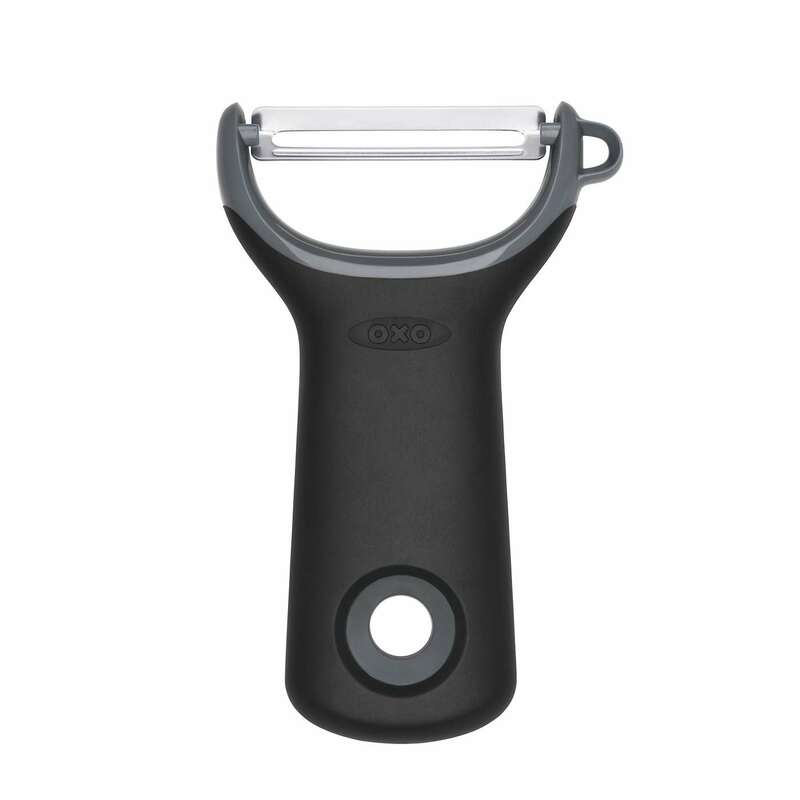 Each Peeler has an easy-to-maneuver shape tailor-made for effortless prep – no matter the fruit or vegetable. 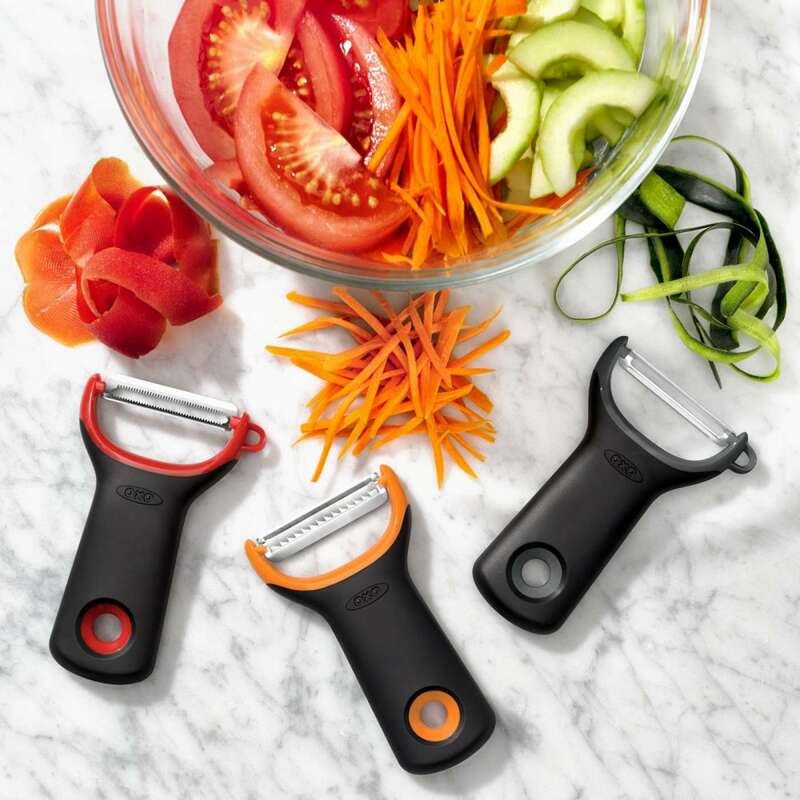 Sharp, rustproof, Japanese stainless steel blades are built for precision, while ergonomic handles and compact design fit nicely in your hand (and kitchen drawers). 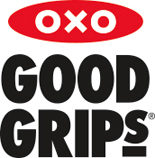 The OXO signature grips will never slip, even when wet. 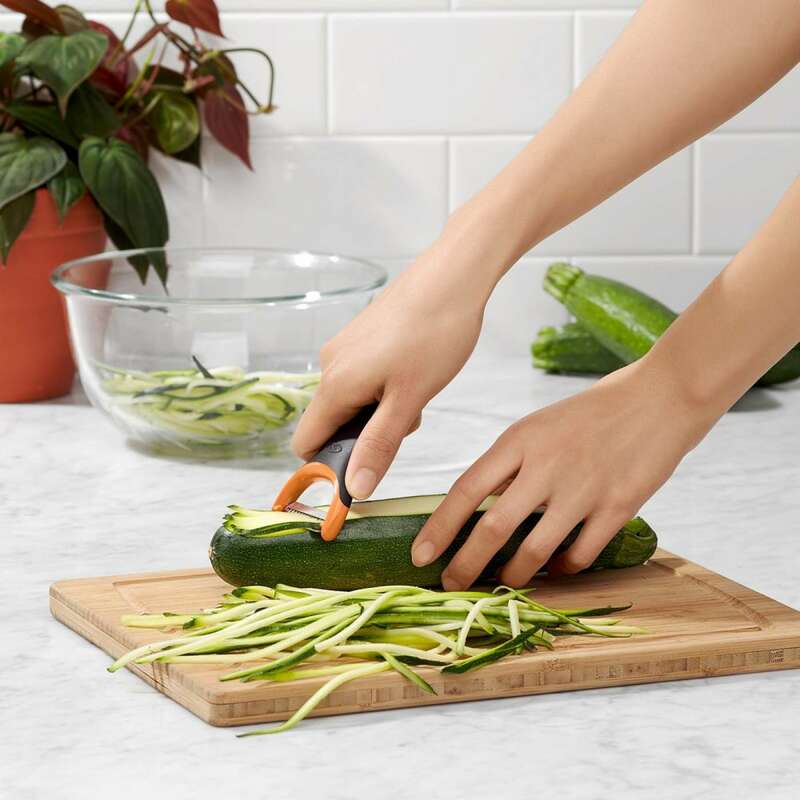 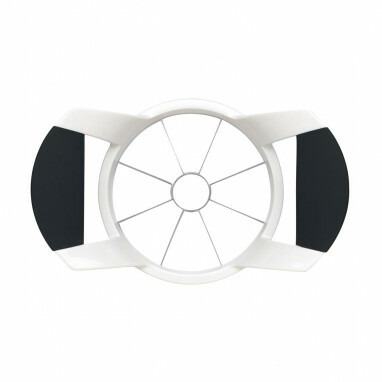 Dishwasher-safe construction means you’ll reach for these Peelers for years to come.